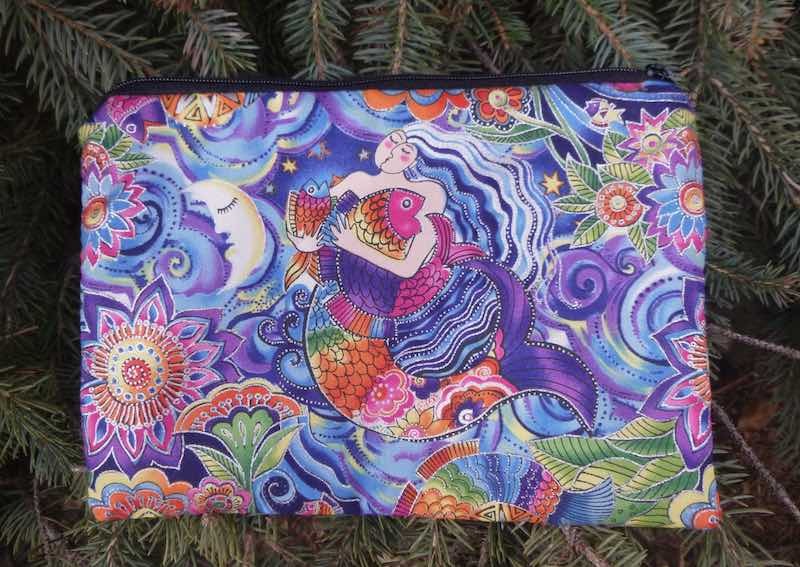 So many uses for this simple zippered bag featuring mermaids in the unmistakable style of Laurel Burch. 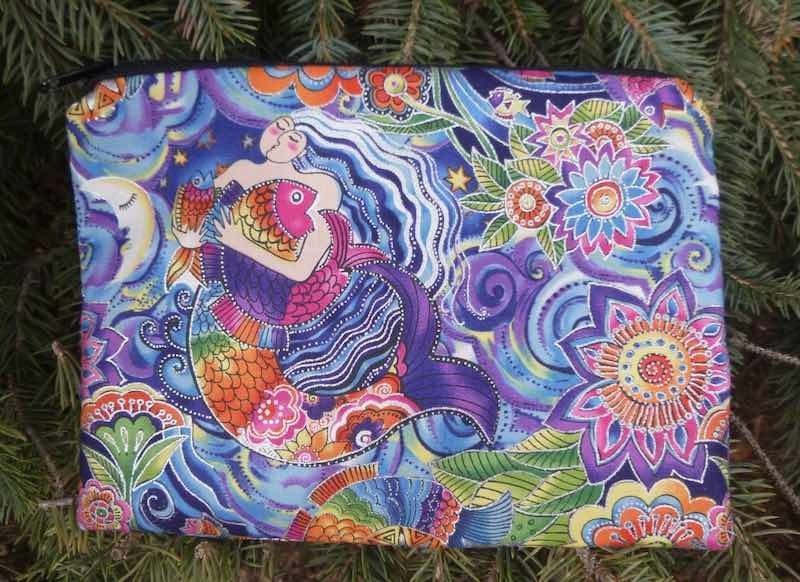 It's perfect for make up, documents in the car, or organizing a briefcase, suitcase or a purse. One of the most popular Zoe Designs bags, because it also makes a special gift for just about anyone.